Aimed to be a legend but caught in an eternal loop of development, the HistWar franchise is still alive. Sorta. In this video, I'm sharing some game footage from this 3D (grand) tactical wargame. Some commentary too. 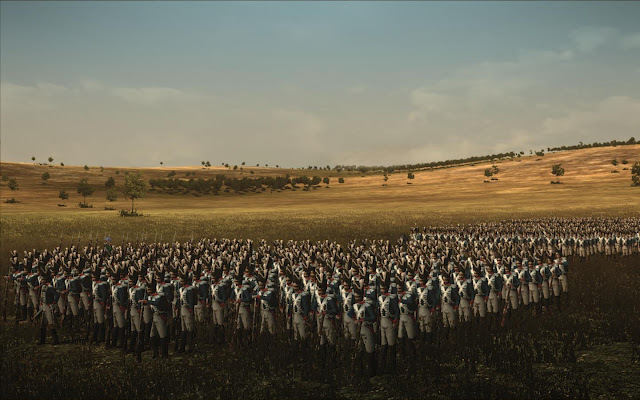 To be sincere, I'd be a pity to leave this wargame in its current state. So much was achieved already. But the glacial pace at which updates come out makes me very nervous. I've had this game forever (both as Histwar Napoleon and its previous incarnation - the name escapes me but I even ordered the physical manuals - probably paid $75-90 iirc). Did the game reach a state where you could pretty much get through a battle and at least feel like you got a (potentially) historical result? The interface was always arcane, but then again I was in the USAF and never had any time to sit down with it. I never could convince myself it was worth the time/effort. Great video JC! I so wish that this game would reach a more playable state. Your video does a great job of showing the positives of what Histwar is trying to do. I just hope they do it before I'm too old to play games anymore. Can't remember the last version I played, but I noticed that when I played at a faster than normal speed (about one or two upticks), it played much better. Try it. If you agree, pass it on to Jean Michel (I'm too busy at the moment).